Update! Goal achieved for Crowdfunding Effort. Thank you to everyone who donated. Information coming soon on the exchange listing. Phore Opens Crowdfunding Effort for Major Exchange Listing! Target Deadline June 4th, 2018. Phore has been offered an opportunity to list a PHR/BTC trading pair on a primarily Asian focused exchange which has over $100 million daily trading volume and is ranked in the top 25 on Coinmarketcap. It is extremely important to add larger exchanges to increase the liquidity of PHR and we believe this is an incredible opportunity. However… As you all know we had no ICO and no Premine, and Phore to date has been entirely self-funded through block rewards and the core team’s donations. 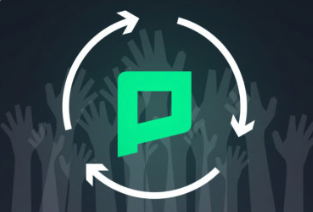 The listing fees + Phore for promotions they require for this exchange are extremely high, and the funds we have allocated for exchange listings to date and additional development fund reserves we have available will not be enough to fund this listing. In order to secure this exchange and move forward with this listing, we are opening up a crowdfunding effort. We are estimating that we need to raise 50,000 additional Phore to move forward with this exchange. If we had 1,000 people who were willing to contribute, we would need an average contribution of about 50 PHR per person to make this happen. Our target deadline for this Crowdfunding effort is the 4th of June, 2018. Phore development, marketing, and operations will remain fully funded so that we can continue to achieve our roadmap milestones and vision. If we fail to secure this listing, donations will be placed in reserve to fund future exchange listings, or refunded upon request to their original wallet address.